"A New Class of Electrostats: Incredible Transparency"
I have always been fascinated by electrostatic speakers. 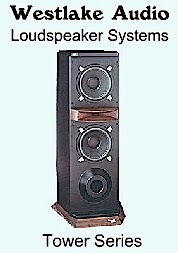 These full-panel driver speakers, which produce audio by electrically charging a thin membrane with an audio signal, have been around for many years (Quad, KLH, MartinLogan). Because of the low-mass of the electrostatic panel driver and its dipole radiation, the essential audio character has been one of a present, fast, accurate presentation in the midrange and treble — without multiple drivers and complex crossovers. Their downside has been the complexity, lack of real low bass and high-cost. Still many audiophiles swear by them, and the technology continues to evolve. Martin-Logan has been a player in the electrostatic speaker game since the early 1980s. Now with the resources of the Paradigm company behind them, their latest series of electrostatic panels some of the best sounding speakers I have ever heard, including the amazing Montis reviewed here. Being an audiophile and a recordist who plays and records real musical instruments, I can boldly state that the level of accuracy from the Montis loudspeaker is uncannily real. Priced at $9,995 per pair, the made-in-Canada MartinLogan Montis features an electrostatic panel radiator, and a built-in, sealed box, 10-inch bass woofer with digital crossover and high-powered Class D woofer amplifier, incorporated in what MartinLogan calls its Voijtko 24-bit digital engine. The Montis sits third in the MartinLogan lineup behind the CLX Art, and Summit. The 59.3 inches tall Montis is just over 12-inches wide, and only 18-inches deep at its biggest point at the woofer section. Its footprint is quite compact, considering the produced sound. The angled electrostatic panel assures correct time alignment, and it gives it an ultra-modern flair in its appearance. Each speaker weighs only 56 pounds, the weight of a normal, medium-sized bookshelf speaker. The main panel sports a black frame; the woofer box is finished in a nice, dark cherry color. There are other color options as well. The primary electrostatic radiator measures 44 inches tall and is just over 11-inches wide. Martin-Logan has implemented its latest electrostatic driver technology, XStat, into its high-end speakers. A series of specialized design features including CLS (curvilinear line source) shape, an improved Generation 2 manufacturing process to achieve optimum low-mass and MicroPerf Stator, which enables wider frequency response and dispersion from smaller panels. The Advance Airframe utilizes ultra-rigid extruded aerospace grade aluminum to secure the panel to the cabinet, which reduces vibration and unwanted physical interactions that can smear the sonic delivery and negatively alter the stereo image. The perforated electrostatic panel reproduces audio from 340 Hz to beyond 23 kHz in a tight 3 dB window, according to MartinLogan. The key to the Montis’ full-range effectiveness is the digital crossover, digital amplifier and sealed 10-inch woofer that handles the low-end all the way down to a claimed 29 Hz. The woofer is powered by a 200-watt class D amplifier and signals/crossover are handled by a DSP-based preamp, which includes a bass control centered at 100 Hz to adjust the speaker to the room acoustics. The bass control adds or reduces as much as 10 dB. Being an audiophile and a recordist who plays and records real musical instruments, I can boldly state that the level of accuracy from the Montis loudspeaker is uncannily real. 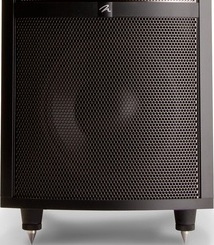 The speaker is recommended to be powered by a 20-300 watt amplifier. The speaker is very efficient at 91 dB 1W@1-meter, so you don’t need a muscle amp to make it loud in most rooms. I powered the Montis’ with variable amps, including a 600wpc Bryston, 350 WPC Pass Labs, and 200wpc Rogue Audio Medussa digital hybrid amp. But even a low-powered, 7wpc singled-ended solid state stereo amp from First Watt pushed the Montis speakers to loud levels in my room as well. As mentioned, the Montis is a pretty speaker. Its futuristic persona is cast with a front and back panel blue logo lights, which can be dimmed or turned off. The rear panel houses the speaker connections, cable connectors, bass control, IEC cable receptacle and the logo light control. 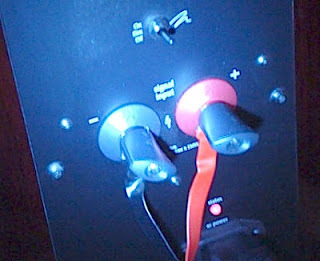 The speaker cables are tightened with a pair of easy-to-use wing handle knobs. The speaker comes with isolation spikes (for those who must decouple the speaker from a room with hollow cavity underneath) and attractive covers to keep the dust out when not in use. The owners manual is excellent — detailed in its explanation of features, operation and placement suggestions. The manual also contains a bit of history on the electrostatic speaker design. I installed the Montis’ in my audiophile listening room; about eight feet apart, a couple of feet from the side walls, and three feet from back walls. I angled them in slightly, per the manual. Since electrostatics radiate from both sides, the wall behind the speaker is a vital part of the sound. Close proximity to the front wall allows for necessary reflections to make the electrostatic radiate its sound properly. Since my floor is a solid concrete slab with a bit of carpet in the speaker mount area, I did not attach the spikes. Measured response was quite clean in the bass frequencies. As previously mentioned, I used several amplifiers for the Montis evaluation, including Pass X350.5 350wpc FET output, Bryston 14B SST2 600wpc bipolar output, First Watt F3 7wpc single-ended JFET output, Pass Labs XA30.5 30wpc FET Class output, and the brilliant Rogue Audio Medussa 200wpc hybrid digital/tube amp. I connected the speakers to the amps via Alpha-Core solid-silver, 12-gauge flat cables. 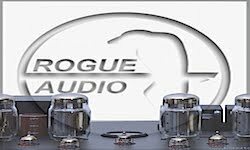 Preamps included my Legacy/Coda, a Pass Labs XP-10 with passive attenuator and the tube-staged Rogue Audio Model 99 Magnum. Sources included Oppo BDP-105, Esoteric K-07 SACD/CD player, the Benchmark DAC2-HGC and Mytek Stereo192-DSD DACs, Clear Audio turntable and my professional/audiophile TASCAMMDVRA1000-HD high-res player/recorder, which I used to play freshly recorded jazz guitar and acoustic guitar music. All sources, preamp and amp options were connected to the AC via Essential Sound Products Essence II power cords and power strip. The Montis’ were also plugged in with the ESP cords. Speakers on hand for comparison included Legacy Focus 20/20s, Legacy Studio HDs, Westlake and LC2.65s. 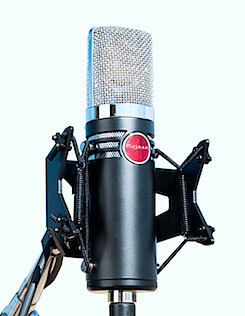 I use a Paradigm SUB15 for low-bass duties with the small Legacy Studios. However, the electrostatic Montis is such a different animal. I really did not do that much A/B listening with my speaker switch box. My 2002 Legacy Focus 20/20s, with multiple drivers on the front, are the closest speaker that I own that radiate the room presence of the Montis. In the initial setup and basic measurements, I found that the Montis needed just a tad of 100 Hz bass roll-off to achieve a flat mid bass in my room. In fact, with my measurements, I achieved a 35 Hz to 20 kHz response within 4 dB, which is an excellent result, and fairly close to the factory measurements. After the initial break-in, I auditioned numerous hi-res jazz albums, including one of my favorite jazz SACD Anthony Wilson Trio — Our Gang: a jazz guitar, Hammond organ and live-to-two-track drum recording from the Groovenote label. From the first play of cut 4, "Time Flies," an energetic run of lead guitar, backing organ and close-up drums, I could tell the Montis‘ were something special. I could immediately hear the nuance of the recording room’s reverb decay and reflections that are often hard to hear through a conventional speaker. The sound was not an exaggeration, but just more detail over a huge stereo image. The front-to-back sonic layers also enhanced the live character of the instruments, and the fast-as-light transients make you forget that the sound is coming from a speaker. It is that good. On the Tom Jung-recorded Warren Bernhardt — So Real, the title track has the drummer rotating a drumstick head around the snare and it sounds like the drummer is in the room. It’s like the recording went from 2-D to 3-D using the Montis. Piano music lovers will love the instrument’s tone on the Montis’. Never have I heard such accuracy in the instrument's upper register. On a Tom Jung DSD recording of a Steinway grand using Grado HMP-1 microphones, the performance literally jumps out in the room. The microphone picks up the layered room reflections, the piano’s wood tone, and hammer on string action like no other microphone. and the Montis is its equal on the transmission side of the equation. How real it all sounds. The MartinLogan Montis is one of the most accurate and revealing loudspeakers I have ever heard in 21 years of reviewing audio gear. The stereo image, low-level detail, sonic info spread across the soundstage is absolutely jaw dropping on 24-bit or DSD high-resolution audio. Another recording that sounded aces through the MartinLogans was the Chesky label's David Hazeltine/George Kraz Trio — Manhattan. A straight ahead jazz trio with piano, drums and bass. I received a lot of complements from guest listeners on its sonic interplay of the piano and drums. Like a classic jazz recording — with more accuracy. Again, the piano’s upper register reproduction was outstanding. 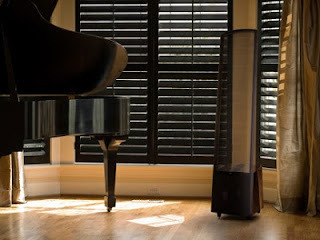 With classical music, the MartinLogan Montis excels on any category instrument you want to play. String, woodwind, brass. The speakers will astound you with their precision. On the Mercury Living Presence classic, Janos Starker — The Complete Bach Cello Suites, played through an Esoteric K-07 SACD/CD player, I could hear the subtle detail from the bowed cello. I swear I could almost hear the rosin on the bow. The larger presentation even made Starker’s noticeable breathing that much more noticeable. Everything in the recording was magnified by the MartinLogans and their interaction with the room. With higher quality music, the Montis’ sonic signature is one of a tight, lean bass, super focused midrange with abundant intricately placed treble detail. The midrange down to midbass is super fast in its response — lacking the pronounced bass bump of many conventional speakers. Some listeners may think, on initial listening, that the Montis does not have enough bass. That is not the case. The speaker has accurate, flat bass — not enhanced, hyped bass that can be exacerbated by room acoustics. Electrostatic /conventional bass driver hybrids have been criticized in the past because the bass driver could not keep pace with the panel’s speed, making for a sloppy sounding low-end. The Montis is not that kind of speaker. Because of the digital crossover, digital amp and the tight acoustic-suspension woofer, the bass perfectly matches the electrostatic panel projection, no time lag, slow unfocused bass versus the rest of the spectrum. This electrostatic/bass woofer integration is perfect. The low end is there if you need it. I played several symphonies with big tympani rolls, electric bass jazz music and pipe organ, and the system did not feel bass shy. On a pipe organ recording in a cathedral hall, the hall reflections were relayed with extreme clarity, including the key clicks and mechanical noise of the organ. You hear everything. To hear some fresh guitar through the Montis’, I played hi-res recordings of me playing a small body, custom Martin 00-28 — built with 1930s bracing and using silk and steel strings. On a 24-bit demo sample of the Martin, recorded in stereo with a set of Audix SC-25 lollipop microphones, the presentation through the Montis’ was like someone playing in the room. The finger squeak, the high fret plucks, the thumb stroked bass notes: it was clear as a bell, er, I mean acoustic guitar. The Gene Bertoncini — Body and Soul SACD, confirmed my impressions of the Montis’ acoustic guitar conveyance. Mr. Bertoncini’s nylon string playing seems effortless and the stereo recording makes it much bigger sounding than one would think possible for a solo instrument. The Montis’ merely project that character with a broader brush than most speakers I have listened to on this album. Piano music lovers will love the instrument’s tone on the Montis’. Never have I heard such accuracy in the instrument's upper register. On a Tom Jung DSD recording of a Steinway grand using Grado HMP-1 microphones, the performance literally jumped out in the room. If you have good amps, like my Pass X350.5 and big Bryston, the speaker sounds clean at super loud levels. But as with any speaker, mate it with a marginal amp, the package may suffer. I thought it sounded a little slow on my old original Mac Mc275. The top-end was not as extended and the bass, fast as it is through the Montis, was a bit lumpy compared to the solid state amps. Some people have told me they do not like horns on electrostatics. That is not the case with the Montis. I thought the horns were super. On Miles Davis’ Round Bout Midnight SACD, the trumpet’s modulated complexity shines through, as does the bluesy persona of John Coltrane’s saxophone solos. The horn “bite” is there, but not harsh. It is hard to believe that the analog gear from 50 years ago could capture the sound so divinely, and the Montis certainly reveals it. What about rock and roll music, and pop? The Eagles — Hotel California DVD-A is a bit thick and compressed, but it has some open, detailed tracks, such as New Kid in Town and Randy Meisner’s Try and Love Again. Again, the Montis pair pulls out the detail, plays it loud and smooth without hurting your ears at 90+ dBs. Center image sounds, such as vocals, are dead center and distinct in their presentation. On various cuts of the Beatles in 24-bit, the raw electric guitar sound of Abbey Road really stands out, as does Ringo’s distinct drumming style. The Montis, again, reveal the separate layers of the multitrack recording, even one as old as this. 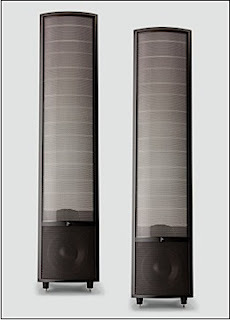 Mix and mastering engineers should check their final mixes on these speakers. I cannot criticize the MartinLogan Montis sonically or its build quality. The made-in-Canada speaker is an exemplary example of convergence of speaker technologies done right. Even the little things are done right, I really appreciated the speaker binding posts that are easy to access and attach big cables without standing on my head. Even the speaker shipping boxes were smartly done, enclosing the speaker in protective pads, yet easy to unbox. The only problem I noticed was in the auto-on/off circuit for the amp/digital crossover. The auto-on/off circuit controls the audio signal to the speaker. The speakers do not activate until a signal is detected. When the audio signal from the amp is detected, the auto-on/off circuit triggers the Montis output, and there is sound. This is visually indicated by a rear-panel LED that turns from red to blue. After 15 minutes of no signal, the amp/crossover circuit shuts off; the LED goes red. 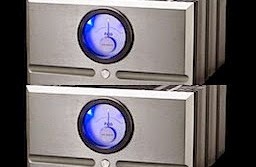 On my review Montis’, the signal threshold seemed a bit high before the speakers activated and passed sound. If the preamp level was low on initial play, the speakers did not sound for up to seven seconds. Thus, I missed a bit of the track. If the preamp level was high, the speakers started within a second. To hear the whole song without any silence, I had to start the track again, at low levels, or crank the level way up on start up. After the initial auto-on, there was no problem because the speaker amp/crossover stays on. Maybe the delayed turn-on threshold can be adjusted in a firmware change. I would prefer an auto-on/off bypass option. Without a doubt, the MartinLogan Montis is one of the most accurate and revealing loudspeakers I have ever heard in 21 years of reviewing audio gear. The stereo image, low-level detail, sonic info spread across the soundstage is absolutely jaw dropping on 24-bit or DSD high-resolution audio. With the combination of the digital crossover and an ultra-fast woofer, the bass speed matches the rest of the frequencies perfectly above 30 Hz. This is the kind of speaker an audiophile lives for. Bring on the EAN Stellar Sound Award! 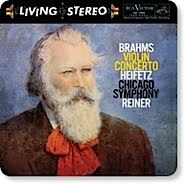 Discuss this review on the Everything Audio Network Forum! I'm glad 30 years of improvement since my ML Monoliths has solved the dilemma of mating stats to a cone. The Monoliths gave great dynamics to a CLS like presentation, and bass impact, but the discontinuity between panel and woofer was very audible. I never achieved a perfect match between CLSs and any woofer either. With the Montis, current amp/crossover technologies and panel improvements may have finally done the impossible, seamless blend of stat to cone. I just auditioned the Montis again at Stereo Exchange here in Manhattan and loved them. 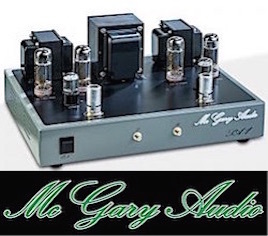 They were driven by all-tubed components - Audio Research amp, pre-amp and tubed CD transport - and the Montises were outstanding, so much so I bought a pair. They'll be delivered in a few days. No buyer's remorse here.